This season of F1 has had many highlights. The race at Baku with the spectacular overtaking into Turn 1 was certainly one of them, but then again the start in Mexico by Max Verstappen was certainly memorable too. The new generation cars have proved tricky to overtake in places, as predicted, but they have also certainly been more spectacular to watch in the flesh and on TV. All thoughts turn to the 2018 championship and a clean slate for all the teams and drivers and for the sport as a whole. There is so much going on in F1 at the moment and we will look in depth at all aspects of where the sport and teams are heading during the winter break, but here are three things which are top of mind as the teams leave Abu Dhabi for home. Hamilton admitted in the press conference that he has been celebrating his fourth title and has let his focus slip a little as a result. What's interesting about this is that he made it clear he didn't want a repeat of 2015 when he let Nico Rosberg get a grip in the final races of the season after Hamilton had wrapped up the title and then carried that momentum into 2018. Bottas has rarely been the competitor for Hamilton that Rosberg was in 2016, but it was only his first season with the team. 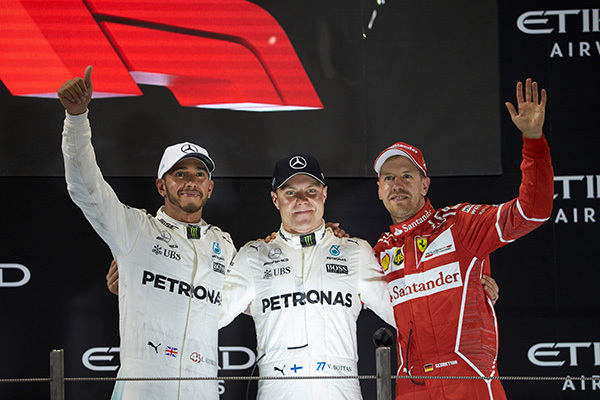 In general Bottas has struggled through his F1 career for consistency. 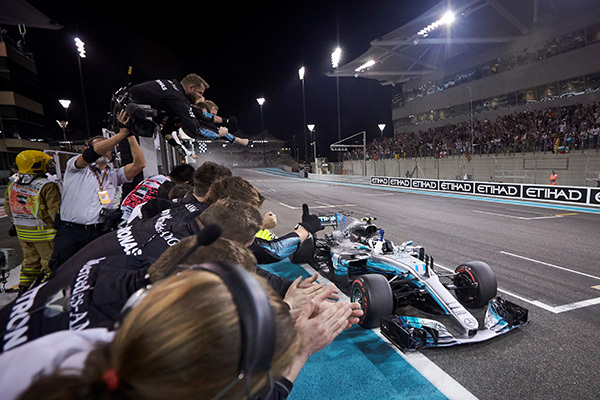 It was consistency that won the title for Rosberg last year and for Hamilton this year and nothing less than perfect execution every week will do if Bottas is to step up next season to the next level. It will be fascinating to see whether he has another level in him. Likewise with this Ferrari team; they stepped up from 2016 to this year better than anyone else, but can they find the inspiration to do it again into 2018? It also shows that for a driver, if you are not 100% on your A Game, even with a driver on Hamilton's level, then you lose. The TV director focused largely on the battles in midfield today, understandably, because there was plenty of close racing, such as Massa and Alonso, Grosjean and Stroll as well as Magnussen and Wehrlein, being some examples. It highlighted that Formula 1 can produce good racing even on a track like Yas Marina where overtaking is difficult, but the problem is that the gaps at the front are still too large and between the front three teams and the rest is a gulf. The points table reflects it. Between Red Bull in third and Force India in fourth is 181 points, Red Bull has almost double Force India's tally. That is the focus of attention at Liberty Media with support from the FIA. It will not be easy to achieve, but it is essential for the long term future of the sport because we have to get to the point where a team like Force India can aspire to win a race, just as a lowly Premier League football team can win against Chelsea or Manchester United. 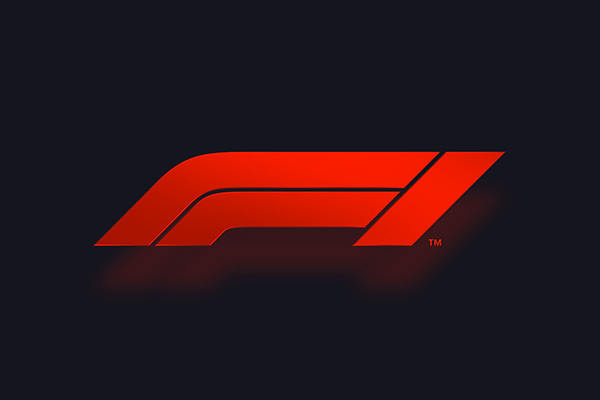 Formula 1's commercial boss Sean Bratches and Head of Marketing Ellie Norman revealed the new Formula 1 logo today in a press conference before the race and it was rolled out to the world on the podium. It was a strong visual statement of change from the old regime to the new. Officially the reason given for the change was because the old logo doesn't work on digital content and on screens due to the dead space between the F and the 1. Of course it is a very visual reminder that F1 is changing its culture away from the Bernie Ecclestone regime and that needs to extend well beyond things like logos to the way it makes decisions and the quality of the decisions it makes.